My wonderful sister is getting married in August, and as I have volunteered to make the cake, dress, invitations and thank yous and do the flowers, I have had to start early. 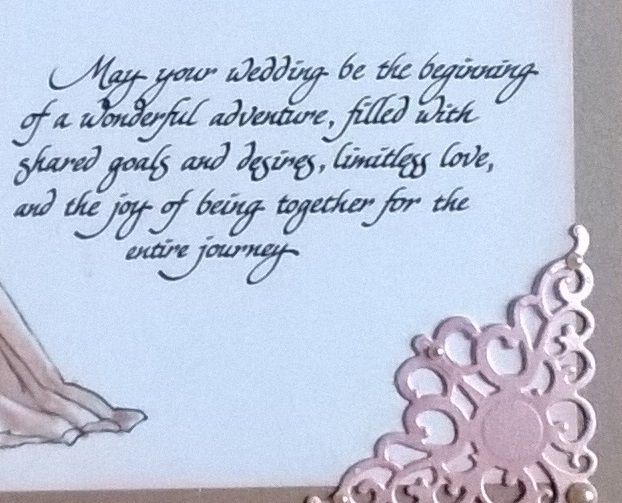 I have had this beautiful curvy Mo Manning bride for a whileand it was just perfect to set off the Eureka digital sentiment. 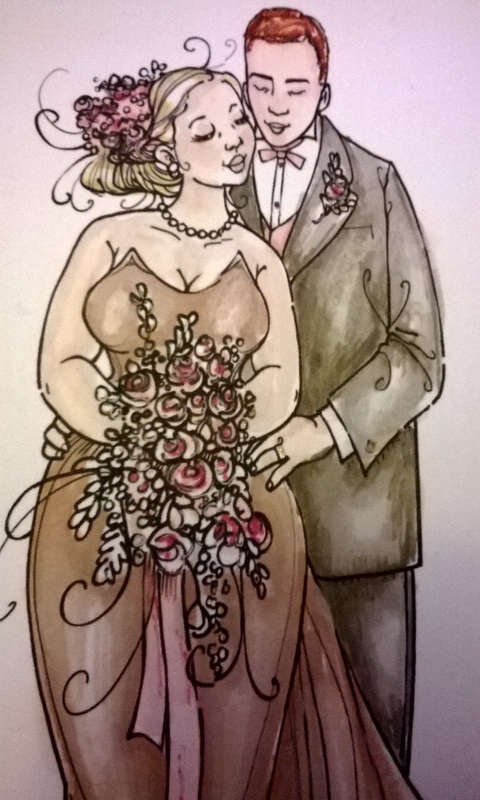 I have coloured her in coffee brown as this will be the colour of the dress. The groom is a little incidental, though I have paid homage to his red hair! 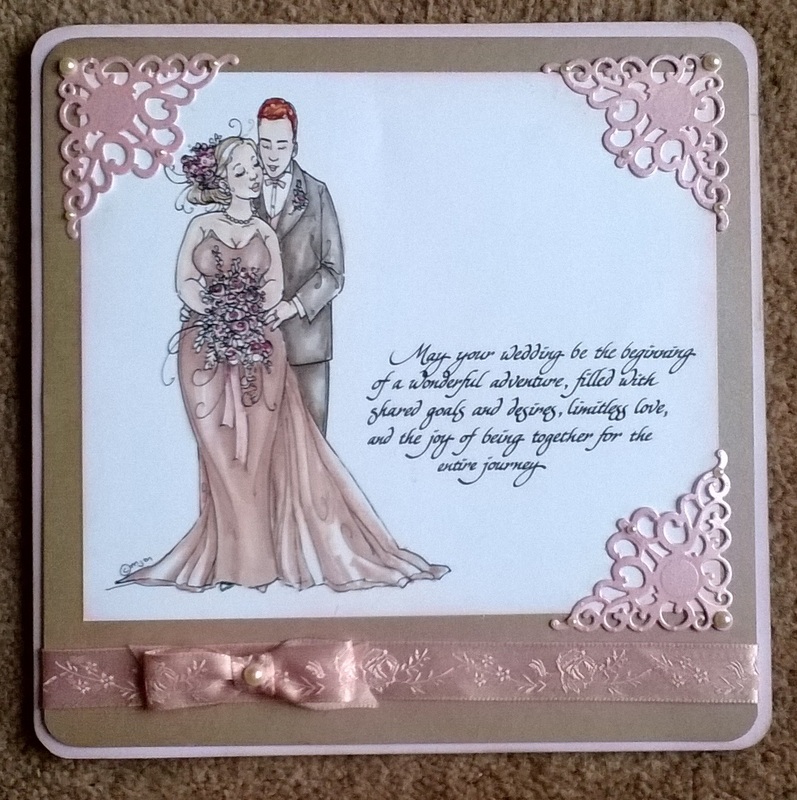 The theme of the wedding is pink and brown and I have dressed the final 8″ x 8″ card to match. 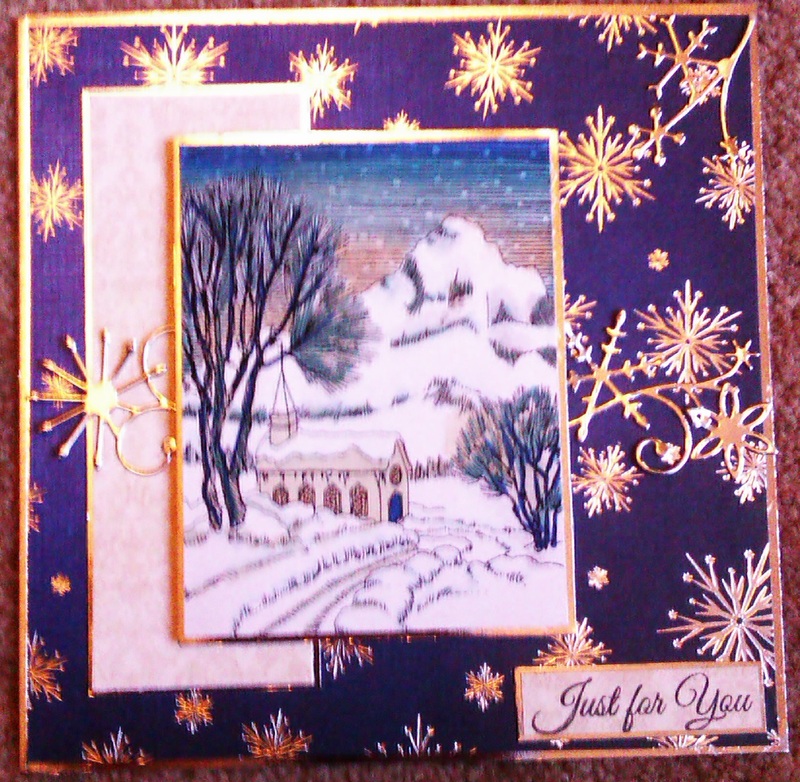 The ribbon was an offcut in cream but I coloured it with a Promarker to match the Spellbinders corners. I think I’d like a more blousy bow but my sister can’t stand fussy cards so I’ve toned it down to her tastes, but did slip a few pearls in! 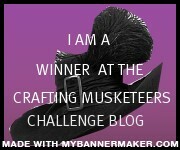 This fortnight, we are making projects with the theme of the weather. 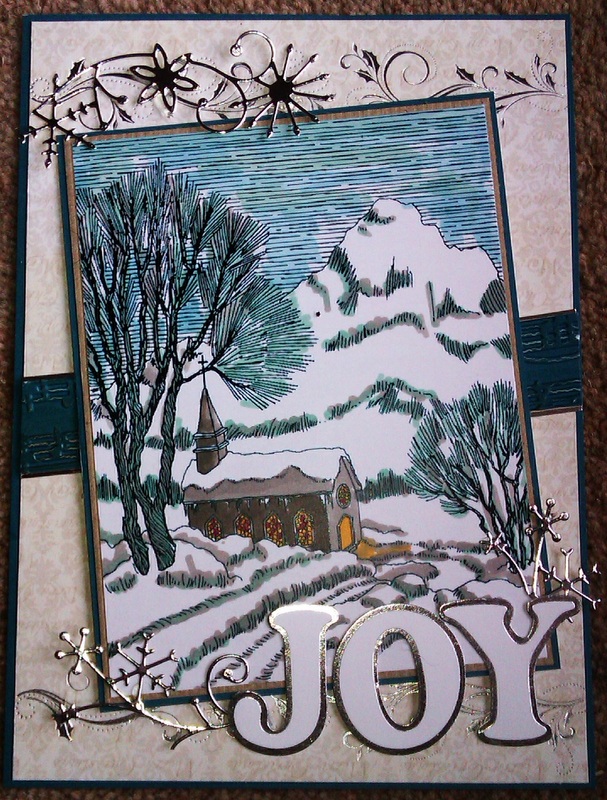 I have made this snowy Christmas card using a digistam from our generous sponsor, Eureka. 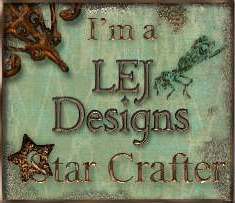 The die-cuts used are cut from Mirri card using a Memory Box die. The cream backing card is from Kanban and the ribbon behing the topper is embossed using a Sizzix embossing folder of a musical score.